These Aerial & Scissor workshops assist employers’ operators or in-house trainers in satisfying the federal and/or state training, testing and evaluation requirements for operating aerial and scissor lifts. 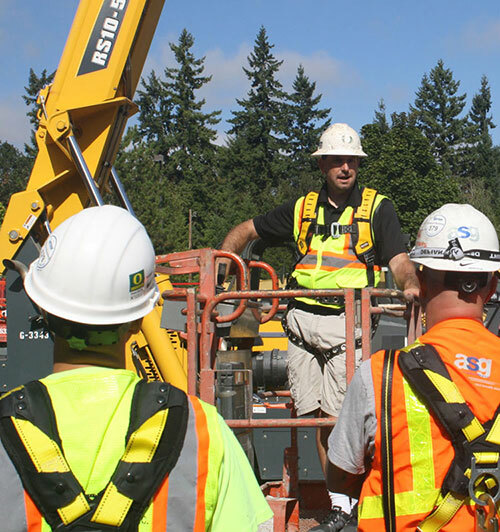 Our Aerial Work Platform safety program covers laws and standards related to aerial lift operation, daily lift and area inspection, stability, key components, fall protection requirements and use, traveling, refueling/recharging, platforms/buckets, gates, understanding capacity charts, and dealing with wind and electrical hazards. Classes titled “Forklift and/or Aerial & Scissor Lift Course” have a morning Forklift session and an afternoon Aerial & Scissor lift session. Students can choose to attend either or both sessions during registration.